Starting a business from a hobby seems tempting for some people. Making money from something we like and are passionate about should be fun and not that hard, shouldn’t it? Well, apparently not (really). There are many challenges in starting a business even if it is based on something we like to do, and not many people can be successful in business as well as contribute positively to society. 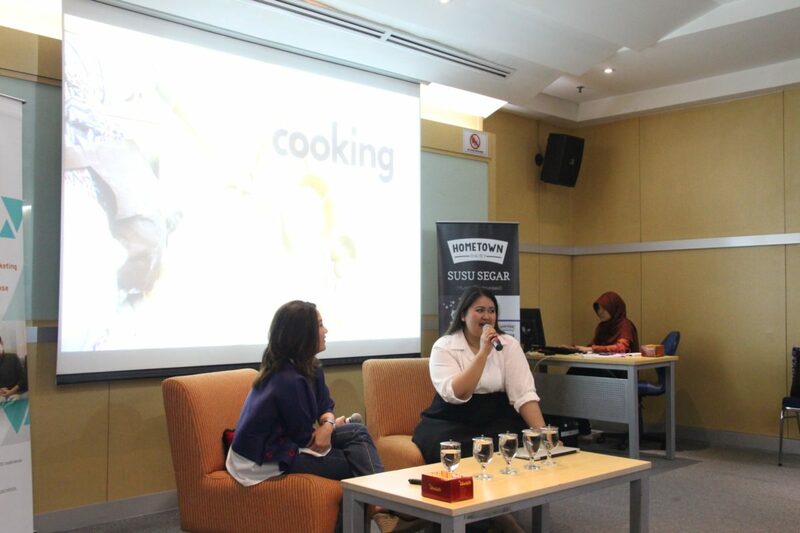 Putri Habibie, a creative marketer and the owner of LadyBake Cooking Class, explained that there are several things one should do to be able to run a business successfully, including a business that starts from a hobby. The first one is to find one’s true passion. She said that before starting LadyBake Cooking Class in 2014, her first business experience was selling food and dishes she made while in high school. Then, while studying for her Bachelor’s Degree, she branded her business with the name LadyBake. However, she then realized that her true passion was in sharing. Therefore, she tried to find a way to fulfill her passion and changed her business model into a cooking class. “I really want to share. 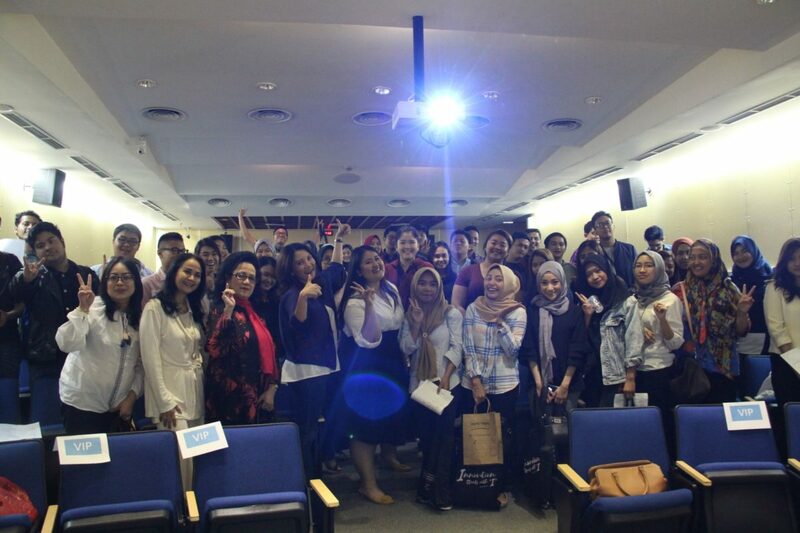 I want to be helpful for other people,” she said during the Info Session & Knowledge Sharing: “From a Hobby to a Business: Impacting Others Through Your Passion” that was held on Saturday, 10 March 2018, at the BINUS JWC Campus, Senayan. The next thing to do is to make sure that the business has a strong value proposition – a value proposition that can’t be offered by others. A strong value proposition can be obtained from the solution of others’ problem and needs. However, it needs to be underlined that needs are not created. Contrary to popular belief, needs already exist in the market. Therefore, people who want to start a business need to obtain insight about the needs through several ways, for example by in-depth interviews and forum group discussions (FGDs). “The needs already exist, but the market is not necessarily aware of them. 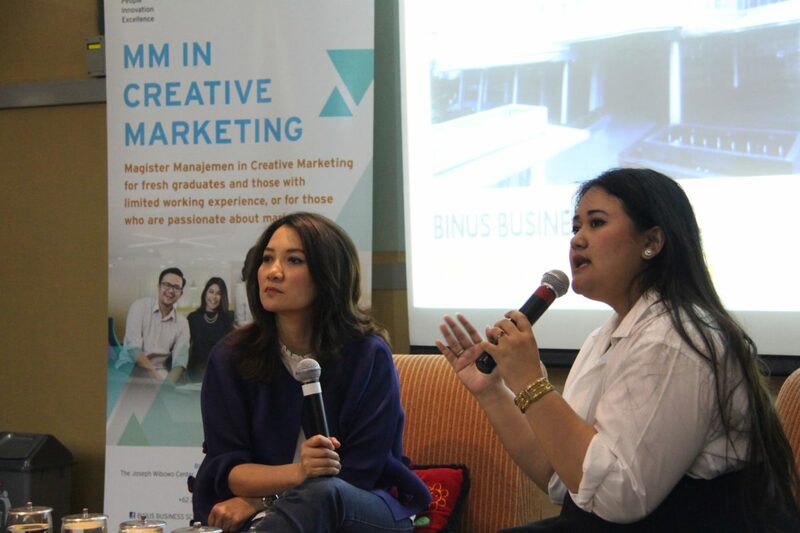 Hence, I prefer to create a demand; make the lower priority become upward,” added Putri, who is also a student of the BINUS BUSINESS SCHOOL MM in Creative Marketing Program. She said that the effort to create demand can actually be helped by digital marketing. Digital marketing enables business owners to do many things to help their businesses grow. For example, business owners can craft their personal brand to solve a case or problem and utilize social media as a stage. To be able to do this, a business owner has to deftly look at opportunities and be aware of his or her own qualities that can be published. In her case, Putri continued, she tries to bring out positive energy in each of her Instagram posts. A piece of advice from Putri regarding digital marketing is to utilize key opinion leaders (KOL). She said that a business owner needs to find the right KOL to promote the business, besides crafting his or her own personal brand. And with the right digital marketing strategy and social media utilization, business owners can create their own trends. 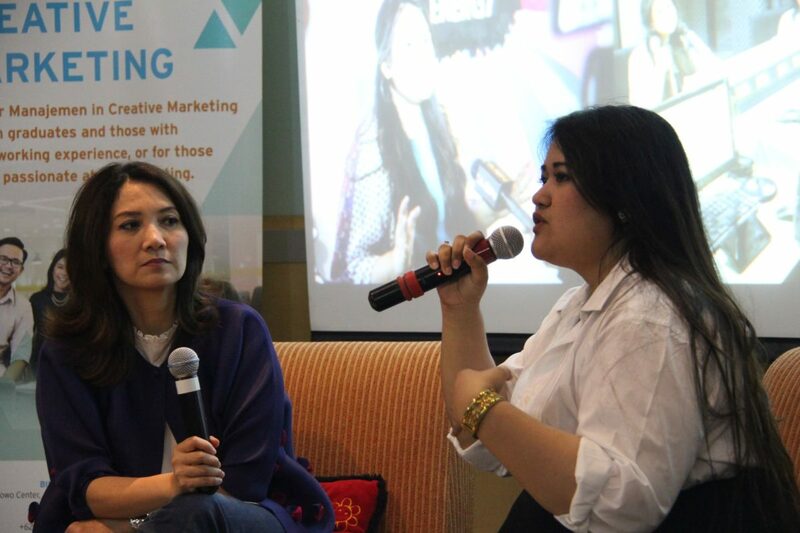 However, Putri revealed that a business doesn’t have to always follow a trend. For example, instead of following the online cake shop trend that’s currently happening today, she chose to ride the wave and position herself as a business partner for the cake shops in learning and consultation. Business owners also have to build their own networks and treat them nicely. Putri said that if a business owner has a good and profitable network, he or she has to be able to utilize it as a drive to be bigger. Business owners, she added, shouldn’t be shy to take advantage of and grab an opportunity. Last but not least, business owners need to have goodwill and the intention to deliver a positive social impact to people around themselves. “I believe that if we spread goodness, the goodness will come back to us. 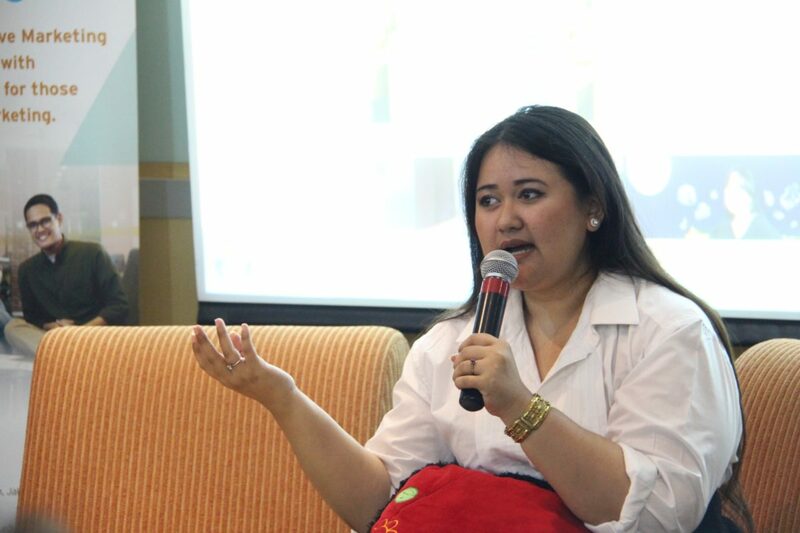 Therefore, spread positivity and goodness in everything we do,” Putri concluded.